With our previous article which discussed the notion of Kilmarnock being a contender to win the SPL title, while some replies agreed with the concept, the majority made a mockery of the very idea. It’s Killie. How could they possibly win the title. Indeed, in a recent poll, 67% claimed they couldn’t, with the 33% minority accepting they could. 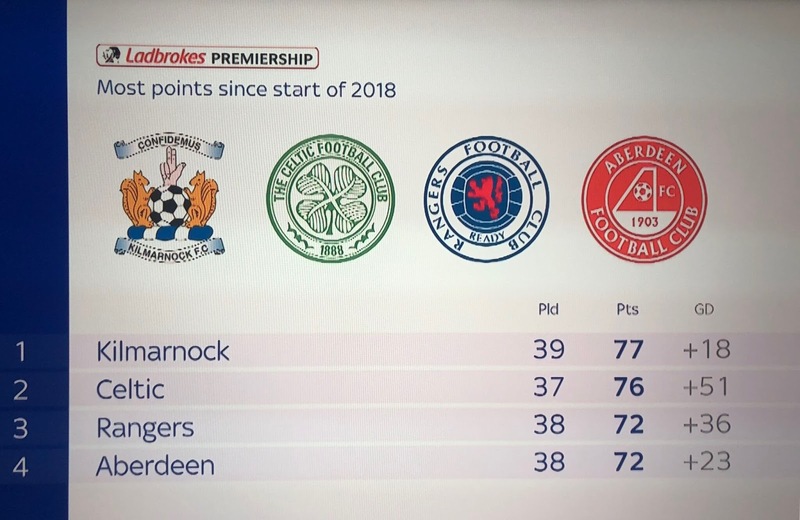 And in a further damning stat released today, over the past 12 months it is irrefutable proof that Kilmarnock, despite only topping the actual table on merit for one week, have in fact been Scotland’s best team. Even more stunning is the poverty of goals from Steve Clarke’s men, showing their defence is the difference and his tactical nous of stifling opposition while knowing how and when to take their chances has propelled them justifiably to the top of the table. Rangers might not be a million miles off but Kilmarnock really have to be taken seriously these days with a level of performance and consistency which shows they’re the real thing. 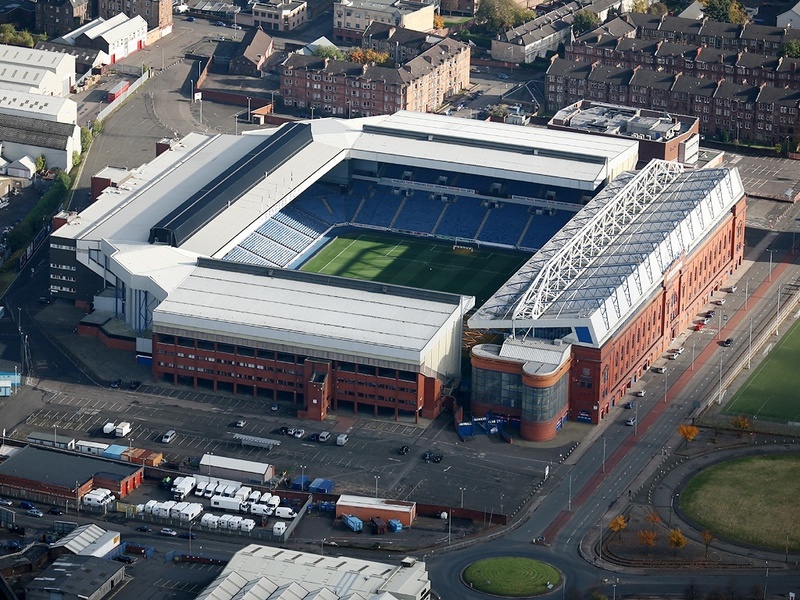 But Kilmarnock epitomise what is wrong with Scottish football. Playing 10 defenders and waiting for a mistake. This year other than Rangers and Celtic, one other club has broken mould, Hibs. And it’s goodbye Lennon. We want attacking attractive football. If you want us to play like Killie so be it. We might fluke a league title. But Rangers and Celtic have budgets the rest don’t have.We should go for it. Its time RANGERS stopped relying on other teams to help them win any progression up the league,Rangers of old went out and won not them all, but it was 100% different as to what they are doing these days,if Gerrard is unable to sort it out get somebody that can, stop saying it was my fault,stop saying they should have tried harder,stop blaming the pitch,if your not up to it get out. I have to disagree. Clarke and his Kilmarnock team built with guys like Burke, Boyd, Broadfoot are showing every single team in Scotland what having a tactician in charge can do for a team. I'm not sure of when they sat back and waited for Rangers to make mistakes? They forced Rangers to make mistakes, that's a huge difference. His team should be applauded and we should think ourselves extremely lucky Clarke can't afford the likes of Defoe or Morelos or he would be dominating Scottish football. 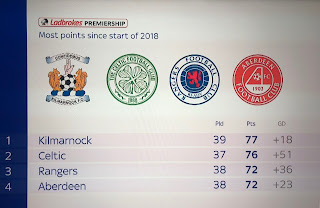 (God help us when he takes over from Rodgers, if he does) I think what is more wrong with Scottish football is we can spend millions of pounds, millions on wages, bring in quality(and make no mistake we have the best group of players in the country) yet still can't find a way by Kilmarnock! - People aren't looking at Kilmarnock as a joke, it's us. Two tactical moves on wednesday by Clarke. (put wingers on our fullbacks+pack the middle) and Gerrard was totally stumped and began making things worse as the game went on because he couldnt with all the quality we have get by Steve Clarke and bunch of average players...let that sink in! PS - Plenty of big European teams said exactly what you are saying about Us when we played bigger opposition in Europe under Walter! You make some fair points. Clarke is a master compared to the rest of the league. It would be a disaster if he ended up at the San Giro. I agree Clarke is an excellent manager and is making fantastic use of very limited players but it doesn't concern me that he might end up at Ceptic. In fact I would be delighted if he went there and sat with 10 men behind the ball. They would not countenance his type of football and nor would we. Just look at yesterday's stats against Kilmarnock. 59% possession and not one single shot at goal, never mind on target. And one corner. That's why they won't win the league. I also dispute that the goals we lost against Killie were down to them forcing us into errors. The first was caused by Worrall dithering when he had an age to pick a pass or clear upfield. The second was a poor cross field pass when under no pressure. Good point Robrob57 - He doesn't really play Celtic style. Perhaps though with money and decent attackers he would change? Deffo take your point about the mistakes - I know Worral made a mess of it. What I was getting at to the other comment was that Brophy wasn't sitting in his own half behind the ball, he was far enough forward to get straight onto Worral when he made an error and that is something Killie do a lot. Agree. I'm on record on here saying that against Hibs and Ceptic prior to the break he was excellent. And against a Hibs I thought he showed good leadership qualities. Recently he has been poor and needs to bring some composure to his game. We were hardly under pressure against Livi but he was still panicking and slashing at clearances unnecessarily when he could've brought the ball down and played a pass. He's still young and relatively inexperienced but I still think he can have a good career as a no nonsense defender, just maybe not at the highest level. Simple difference is managers ! SG is a rookie who doen’t seem to be learning. Clark is a “master” of his trade ... and Rogers has been asleep through lack of challenge. Time this website forcussed on this key problem at Rangers - the management team! If only the players had the bottle to do a “Hibs” and the board had the bottle to listen. Sadly,l fear this will end in tears because on performances so far I cannot see this management team getting this squad to win anything soon. Why are our board so useless .... do they not watch football ? FM, most of these players were brought in by SG, so perhaps a little immature to think they will rebel against him. If you think the management team is poor, fair enough. Who do you suggest replacing them with? Do you think people like Kent would come for someone else? SG may be new, but his name carries weight when you are talking to players. Fact is, we would be unlikely to get someone else with his cachet. If you had aimed your fire at Gary Mac, I would have been far more sympathetic. He is supposed to be Walter to SG's Souness. He is failing. You say "Rangers might not be a million miles off but Kilmarnock"?! We bloody should be!!! Disgraceful state of affairs. Every club, plays against Rangers like a cup final, both home and away. They raise their work effort pace and intensity. Our problem is we don't treat every game like a Cup final against the other clubs and that cripples us with inconsistency. We must fight for every ball, work hard, show desire, pace, intensity and dare I say, bleed for the blue jersey. To say the players felt sorry for themselves after worrals error is a bloody joke and conning the fans. If you can't or wont fight for the club in every single game, then just piss off and start signing players who will!! !